Win 'Dracula Untold' on Blu-ray! Win ‘Dracula Untold’ on Blu-ray! Posted February 1, 2015 by William Martin & filed under Win. One of the most enduring and captivating figures of all time unveils his beginnings in this gripping origin story. 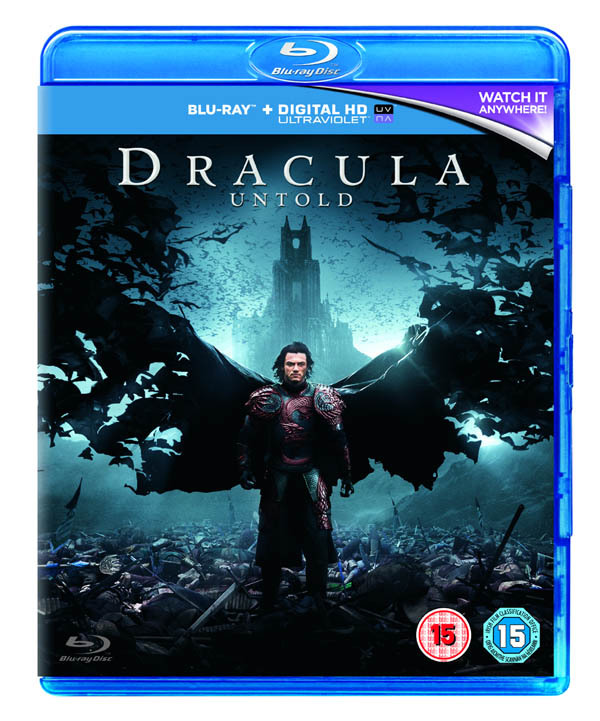 Experience the thrilling adventure and epic battle for one man’s soul in stunning high definition, when Dracula Untold is released on Blu-ray on Monday 9 February by Universal Pictures (UK). To celebrate the release, we’ve got Blu-rays to give away to three of our Twitter followers! For almost a century, the legend of Dracula has mesmerized audiences with the story of a charismatic royal who feasts on the blood of innocents after the sun goes down. Dracula Untold reveals the man behind the myth in the thrilling, action-packed tale of Vlad III, Prince of Wallachia (Luke Evans), who makes a terrifying deal with a supernatural ally that will allow him to save his family and his country – at the cost of his soul. Joining Evans is an all-star cast featuring British heavyweights Dominic Cooper (Captain America: The First Avenger, Need for Speed) and Charles Dance (Game of Thrones, The Imitation Game), and Canadian-born Sarah Gadon (The Amazing Spider-Man 2, A Dangerous Method) as the beautiful Mirena. This competition has now closed. The winners are Vincent Stone from Richmond, Eric Connor from Farnham and Alistair Price from Liverpool.